Santa Paula Latino Town Hall continues to mobilizes and empower its members and the community through community building activities that impact the social, cultural and economic life of the city. We continue our work on solutions to youth needs, crime, cultural awareness, business development, revitalization, employment, housing, education, and other issues. We also continue our efforts to provide scholarships to worthy students so they may advance their educational opportunities. Check out our current programs below and find out how YOU can get involved! ﻿Each year Santa Paula Latino Town Hall awards thousands of dollars in donations for local causes that are aligned with its mission and vision. To see a list of past recipients, click here. Organizations and/or individuals seeking donations from Santa Paula Latino Town Hall should follow the Guidelines for Donation Requests and fill out the Donation Request Form. This scholarship fund was created with an endowment honoring the late Ray Sepulveda and Ray Garcia, who were both well known and loved community leaders. The scholarship is administered via the Ventura County Community Foundation and is for graduating seniors from Fillmore High School in Fillmore, Oxnard High School in Oxnard, and Santa Paula High School in Santa Paula, California. To qualify for this scholarship, applicants must be residents of Ventura County; have a minimum 3.0 GPA; demonstrate financial need; and intend to enroll in a vocational/trade school, an accredited community college, or a four-year college or university. Preference will be given to children of farm workers. To apply for this scholarship or to donate money to the scholarship fund, please visit the Ventura County Community Foundation and scroll down to the "Ray Libero Sepulveda/Ray Garcia Latino Town Hall Scholarship". ﻿Each year Santa Paula Latino Town Hall honors people and organizations that help to make Santa Paula a great place to live. The Annual Awards Dinner has come a long way since 1997 when the Santa Paula Latino Town Hall Board of Directors first began honoring Santa Paula community residents engaged in local civic and social issues and local businesses for community service and volunteerism. You can be a part of the effort to recognize deserving individuals and organizations. ﻿Nominations are now open for the 2016 awards. Click here to submit a nomination.﻿ Click ﻿here﻿ to see all previous award recipients. The Annual Awards Dinner event would not be possible without the financial support it has enjoyed these past eighteen years. Through the generosity of many local organizations, the Annual Awards Dinner has become one of Santa Paula’s finest events. We extend our heartfelt thanks to our sponsors for their continued generosity and support. If you are interested in becoming a sponsor for the the annual awards or donating a prize for a silent auction, please contact Lorenzo Moraza at morazajr@gmail.com. All proceeds from the raffle benefit our Youth Engagement & Empowerment Initiative. "Getting the educator award at Santa Paula Latino Town Hall has touched my life in ways you may not even be aware of.This simple act of kindness has a beauty all its own." The Youth Engagement & Empowerment Initiative is a collaboration of several agencies that include Santa Paula Latino Town Hall, Future Leaders of America (FLA), Santa Paula High School, Renaissance High School, Isbell Middle School and Central Coast Alliance United for a Sustainable Economy (CAUSE). This collaborative organizes ongoing opportunities for youth to develop leadership skills and to learn about career paths and opportunities. 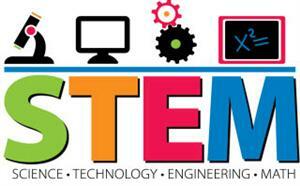 Program components include an Annual Youth Leadership Conference and ongoing Career Seminars, field trips, scholarships, and more. 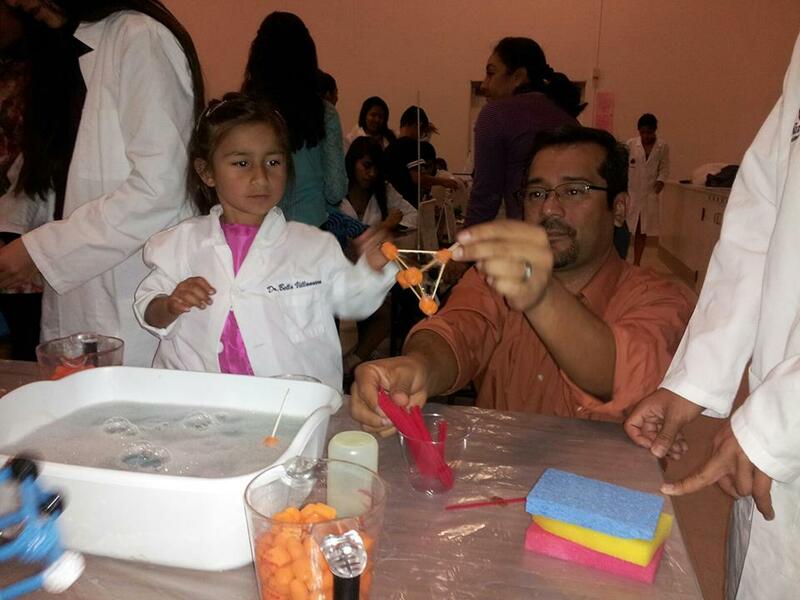 Santa Paula Latino Town Hall has played an active role in bringing the Discovery Center for Science and Technology's Family Science Nights to Santa Paula youth since 2013. SPLTH members help provide needed materials and volunteers to work at each event. 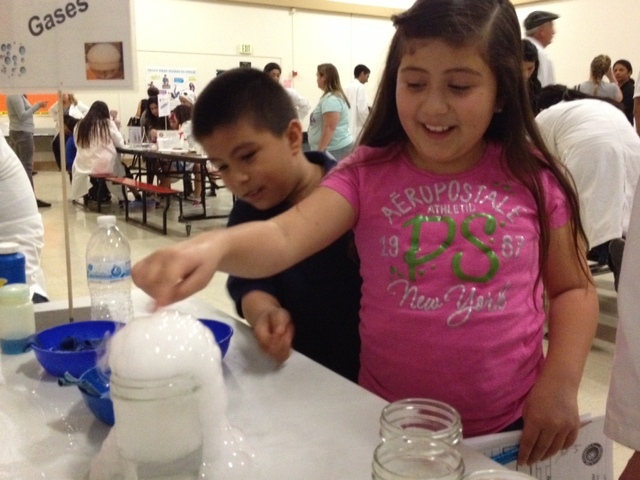 Multiple evening events are planned each school year at various school sites in Santa Paula; and elementary aged kids and their parents are able to participate in more than 20 different hands-on science inquiry activities. Santa Paula Latino Town Hall members serve in leadership roles working with the Discovery Center and the Santa Paula Unified School District to help coordinate and run the event.SPLTH members serve as mentors for the High School students from Santa Paula High School and Renaissance High School who volunteer at the event, working hands-on with the elementary students and their families. 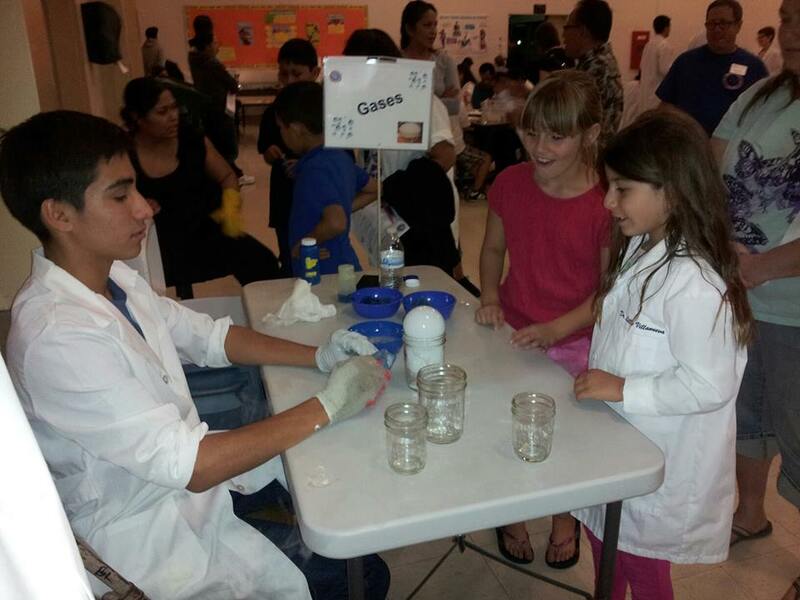 Santa Paula Family Science Night has been featured in the news several times and was also featured in the first edition of the Discovery Center's newsletter.